Hydraulic Hot Moulding Press are specially designed for for optimum production of simple and intricate hot moulding of brake lining components with ejection facility. Hydraulic Hot Moulding Presses have soft opening immediately after the curning period to minimize any jerky movement which may cause damage to the components that is being molded. Flowmech also manufacture hydraulic hot moulding press as per the customer's requirements. 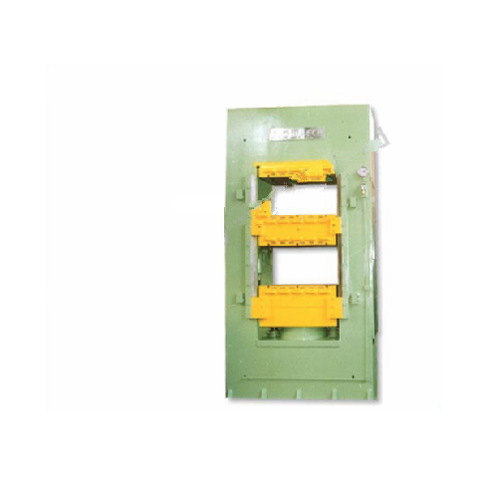 » Hot Moulding Press is available upto 4000 Ton Capacity as per the Customer Requirements. » The Hot Moulding Press will be available in Pillar / Gate / H-Frame Type.